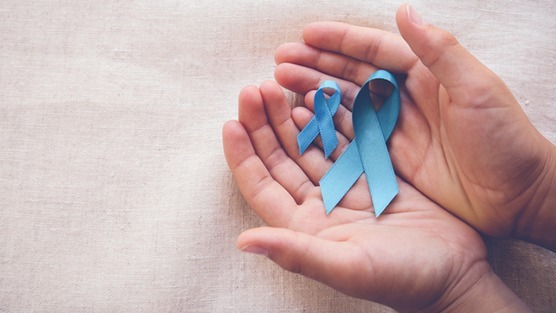 When deciding on a treatment plan to address prostate cancer, you should take time to discuss your options with your doctor, and weigh both the advantages and disadvantages of each form of treatment. The type of treatment your doctor will suggest will depend on a number of different factors, but ultimately, you must choose the course of treatment that will give you the best outcome. Below are factors that are taken into account when choosing a treatment for prostate cancer. This specifically refers to the size of the tumour in your prostate and how far it has grown or if it has spread (metastasized) outside the prostate gland. The treatment your doctor suggests will be different depending on the stage of the cancer. Tumors are assigned a stage from 1 to 4 based on the size of the cancer or the volume of the cancer, whether or not it can be felt on a digital rectal exam, and whether or not the extent of the cancer can be seen by any number of imaging tests, including ultrasound, CT scans, and MRI. The results from a prostate biopsy are usually given in the form of the Gleason score. In the simplest of terms, this scoring system assigns a number to describe how abnormal the cells appear under a microscope. Grade 1 and 2 are thought of as normal prostate cells. Grades 3 – 5 are thought of as cancer cells, with grade 5 being considered the most abnormal. Knowing your PSA level can also provide more information about your cancer. Prostate-specific antigen or PSA is a protein produced exclusively by prostate cells. PSA is found in higher levels in men with prostate cancer because more PSA finds its way into the blood where it is measured. PSA levels under 4 nanograms per milliliter (ng/mL) of blood is considered normal. The chance of having prostate cancer goes up as the PSA level rises. Age is also taken into account when deciding on treatment because some prostate cancers tend to grow very slowly. If you are older and your prostate cancer isn’t causing you any issues, you may live just as long without having any active treatment. Instead you may be offered regular checkups (active surveillance) instead of treatment to carefully monitor the progression of the cancer. If and when your condition worsens then your doctor will suggest treatment options. Making a decision about how to treat prostate cancer can be difficult to do on your own. You may find it helpful to talk with your family and friends before making a decision. Your health care team is also an excellent resource to seek out should you have more questions about choosing a treatment course that is right for you. It’s important to understand that every man’s experience with prostate cancer is different, but the bottom line is to treat your prostate cancer with minimal impact on the quality of your life.